Google’s rich result type for Q & A pages is now available to all websites. Previously, Question and Answer results were only available on a limited basis to a select number of websites. 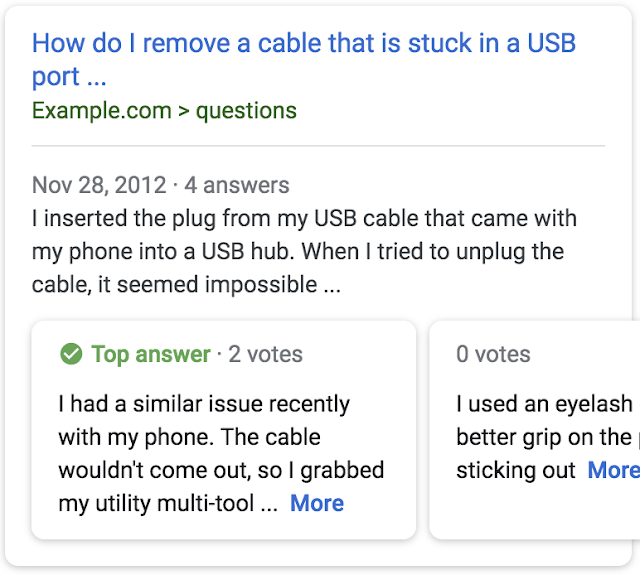 Now all websites can be eligible to show these rich results by making up their question and answer content with the appropriate structure data. Keep in mind, being eligible to display a specific result does not mean it will always be displayed that way. On the other hand, not using the structured data will ensure that your content is never displayed as a rich result. So, is it important to implementing the structured data? Absolutely – especially if driving more traffic to your Question & Answer pages will be helpful to your business. Simply, don’t get disheartened if you use the markup and rich results are not always appeared. You can verify whether the structured data is implemented accurately by using Google’s structured data testing tool. This tool can also be used to see how the pages will show up in search results. Google Search Console’s ‘performance’ report will follow how frequently your rich results show up in the search, and which queries were used to trigger them.